Remarketing can be a great way to reconnect with your customers as they navigate away from your site and continue to browse the display network. However, it can also be bit intimidating to set-up. In my previous post, I discussed the value and the basics of remarketing. Here, I will outline how to get started and create a remarketing campaign in your AdWords account. 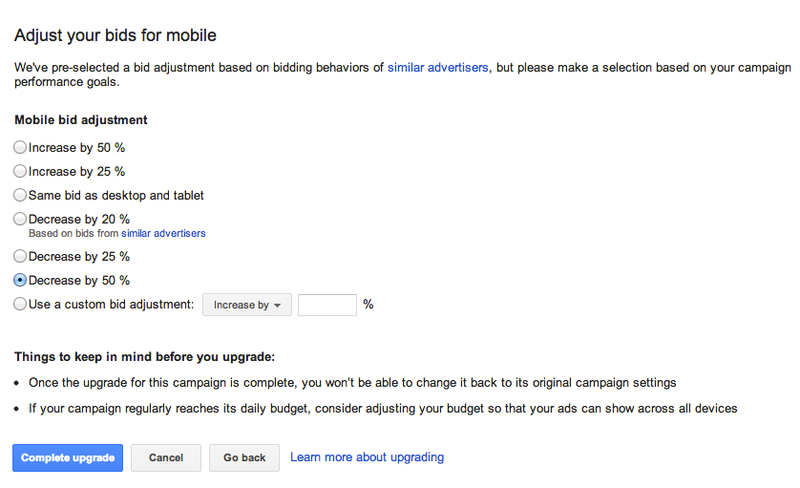 First, create a new campaign in AdWords. 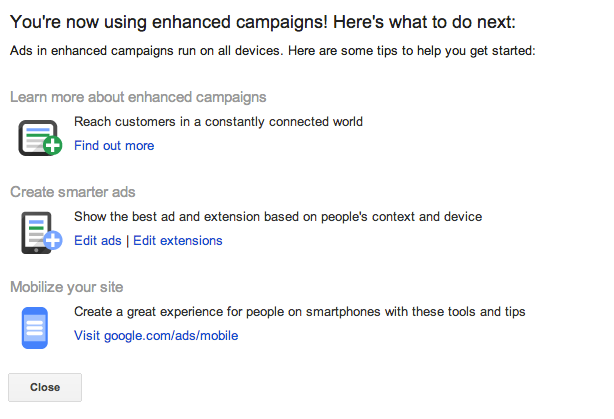 This campaign should be opted out of search and into the display network only, targeting the broad reach option, as shown in the screenshot below. Then, go to Shared Library in your AdWords account and click on Audiences, which is where you will be able to create an audience and generate code to be placed on the appropriate pages. I discussed defining your audiences in my last post, please refer to it for more information on how to segment your visitors. 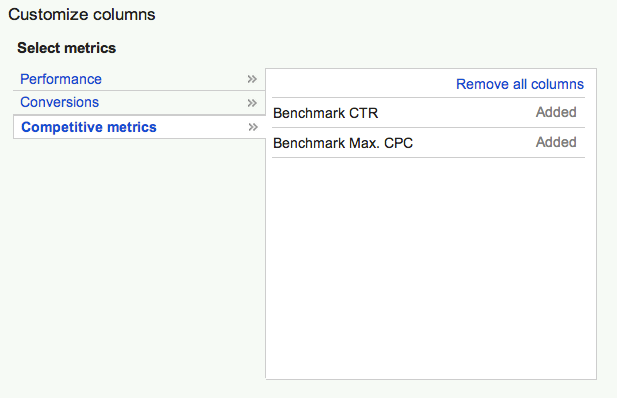 Select New Audience -> Remarketing List and choose a name and a cookie duration for your list. I recommend you start with a default 30 day cookie. When you save your audience, you will need to place the code on the corresponding pages of your website. 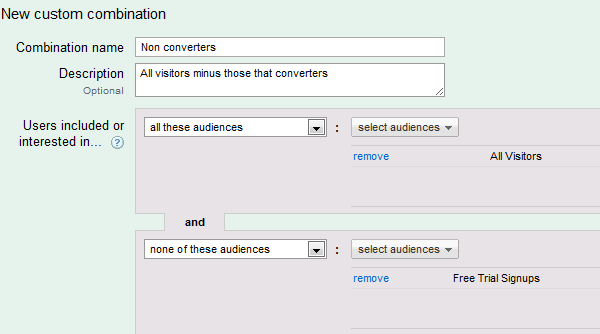 AdWords used to require 500 users in your audience list for your AdWords ads to start running. Now, your audience count needs to only reach 100 users for ads to be eligible to run. This is good news for smaller businesses and sites that do not get a ton of clicks as well as for more specific audiences. You may want to create several audiences and then use custom combinations to reach the proper user base. For example, to reach only the non converters, you will want to have two audiences for all visitors and those that converted. Then, you will want to create a custom combination to target all visitors minus those that reached your conversion page. Once you have created your audience, you will have to target it via your remarketing campaign. 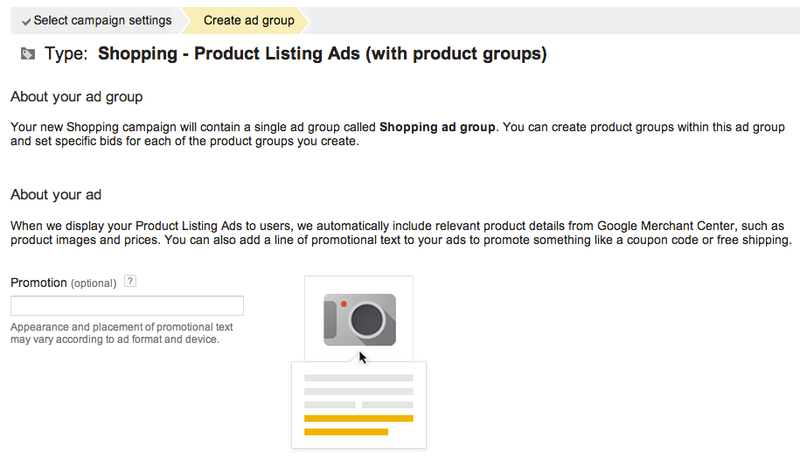 In your remarketing campaign, create an ad group, set your bid, and click on the Audiences tab. There, click on Add Audiences, choose the Remarketing Lists column and add in the audience you defined in the previous step. You can use CPC (Cost-Per-Click) or CPM (Cost Per 1000 Impressions) bidding, but I recommend going with CPC bids if you are direct response focused. You will want to start with a higher bid for more exposure, I recommend beginning with a $2 Max CPC and adjusting, as you monitor impressions, clicks and conversions. Like with any campaign, you will want to monitor closely and adjust, based on performance. There are many more ways you can further sub-segment your audience, such as by cookie duration or display topics. Continue to experiment to custom targeting and messaging that resonates best with your customers. This entry was posted in Account Structure, Google AdWords, Remarketing, ROI and tagged adwords remarketing, adwords retargeting, remarketing, remarketing audiences, remarketing best, remarketing set-up, retargeting on December 11, 2011 by kristina. Are you looking to increase AdWords conversions and lower your cost per conversion? You should be using CPA bidding. According to AdWords, advertisers who use Conversion Optimizer ssee a 21% increase in number of conversions while decreasing costs by 14%. Instead if painstakingly managing ad groups and keywords bids, or purchasing costly software that does that, AdWords will do the work for you. You’ll still pay per click, not per conversion. But the system will optimize your bids for you to help you reach your set goals. 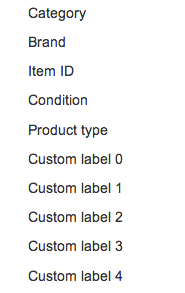 The tool is free of charge and in order to use it, you’ll have to be tracking conversions, of course. Additionally, your campaign will have to have accumulated at least 15 conversions over the past 30 days.To see if you are elgible and start using it, go to your campaign settings and under Bidding and budget click on Edit your current Bidding option. You will see a Focus on conversions (Conversion Optimizer) option. If you are eligible and would like to use it, you will want to decide if you want to do Max CPA or Target CPA bidding. If you’re new to the tool, I recommend choosing the system recommended bid in order to keep your traffic stable. If you go much below the system recommended bid, you might get less traffic and fewer conversions. Plus, you can always adjust the CPA bids, as you see how your campaign performs. Conversion optimizer users your campaign’s historical conversion data and also takes into browser information, geographic location, and other information to help you achieve your conversion goals. 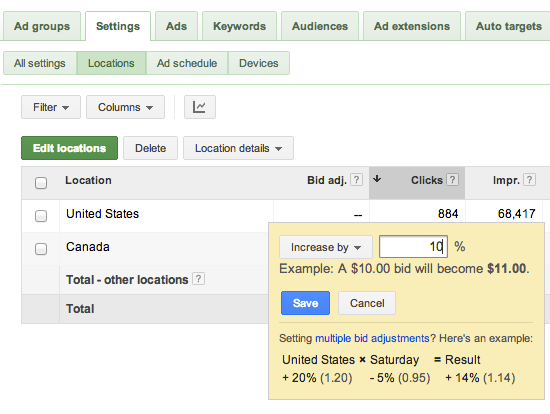 CPA Bidding is one of the most robust tools AdWords provides to help advertisers optimize and manage ROI. 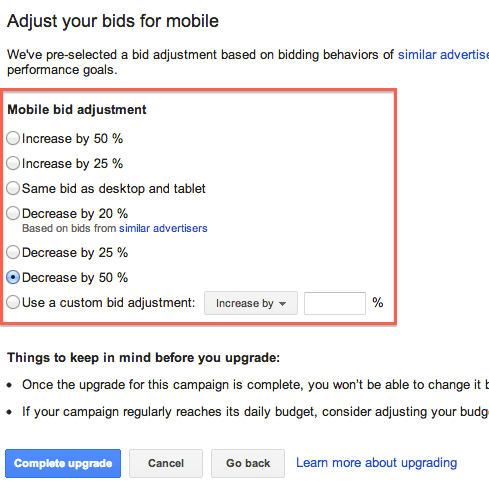 If you aren’t eligible for CPA bidding and are tracking conversions, you might want to consider another conversion focused tool AdWords offers called Enhanced CPC I previously blogged about here. This entry was posted in Account Structure, AdWords Conversion Tracking, Google AdWords, PPC, ROI and tagged adwords conversion optimizer, adwords conversions, adwords cpa bidding, adwords roi, conversion optimizer, cpa bidding, improve conversions, optimize roi, roi optimization on May 1, 2011 by kristina. Now, you have the option to further refine location targeting. Advertisers can now target by either physical location and search intent, or both. This is especially useful for types of businesses who find that they get lower value clicks from outside their target physical location, or for city names that exist in multiple different states. Springfield, for example, is a city in several different states in the US. This entry was posted in Account Structure, Google AdWords, ROI and tagged AdWords Advanced Location Targeting, AdWords Location Targeting on April 19, 2011 by kristina. What products or services would you like to advertise? Where are your potential customers? What locations and regions would you like to target? Do you have different budgets for your various products and services? Are some of your product lines of greater priority? Campaigns: ﻿You will want to create separate campaigns for different products or services and to take advantage of other settings that you choose at the campaign level. For example, as a carpet cleaning business, you might want to create separate campaign for the different locations you service. 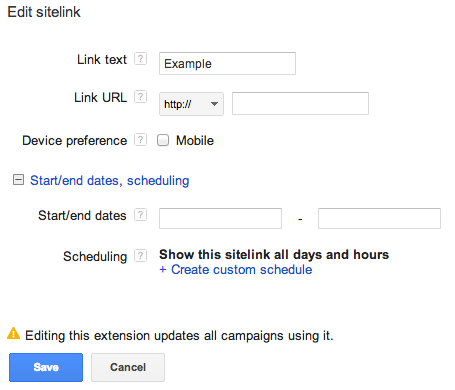 I also recommend creating separate campaigns for the different networks and advertising on Search and Display separately. Tip: A good test to double check if your themes are tight enough is to ask yourself is each keyword within your ad group is reflected in your ad text. Make sure you find a balance between relevant groupings and being too specific. Creating a separate ad group for each individual keyword is not the best use of your time! This entry was posted in Account Structure, Google AdWords, PPC and tagged adwords account structure, adwords ad groups structure, adwords campaign structure, adwords optimization, adwords structure tips on July 22, 2010 by kristina.